Four years ago John’s life changed forever when he began to lose his sight. Urged by those around him to make difficult decisions he seeks solace in his love of night fishing guided by his young friend Ben in a journey requiring real patience and fortitude. The film is a 12 minute documentary about 32 year old John Chapman from Kentish Town who is at a critical point in his life as he adjusts to the loss of his sight from the incurable condition Retinitis Pigmentosa. With an amazing strength of character and the help of family and friends he leads a very full life. Yet his mother and others are frustrated by his refusal to make difficult decisions, including giving up his little Jack Russell so he can get a guide dog. John wants to hold on to as much of his previous life continues to go night fishing diligently guided by 14 year-old schoolboy Ben. This is a subtle and gently paced exploration of a journey requiring patience and fortitude evoked in scenes of a night fishing trip and encounters with those who urge him to take the next vital steps in his life. This is not a film that imagines that an adult audience needs its story laid out from the start : it dares to have us knocking around in an underground space at the beginning (where elongated, protective bags are in evidence, but are we clear that they do not contain hunting equipment ? ), and running through shots, by the water (and using natural light ? ), of night-fishing, before a scene where John is talking to his mother in her kitchen. His disability, or its nature, escaped us, but now – and with scenes of practising casting in daylight – we realize that what can be reached with a rod symbolically is a sort of measure of it. 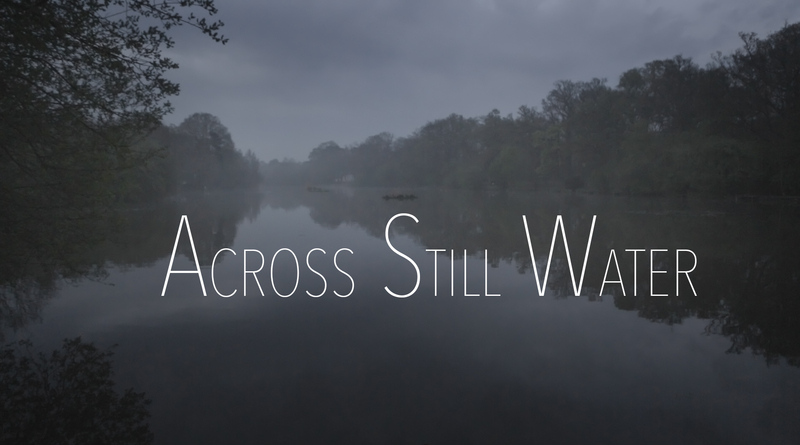 Across Still Water, in its pace and editing, has a considerable sense of still, and space, in which to contemplate what we now see. And the dark, and the moonshine, of the final scenes by the water serve as metaphor, as John comes to the point of saying to his friend Gonna have to swallow and do it in the end.